Had been away for a few days and when we got back my wife noticed this on one of our roses. Can anyone tell us what this is? 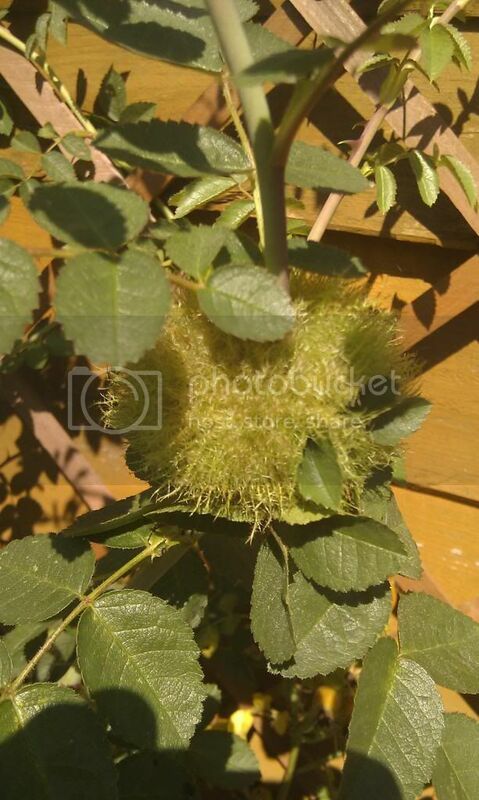 As the attached photo shows the 'plant' looks like a small ‘furry’ ball about 2 inch in diameter. Neither of us have much experience in gardening and never seen anything like this before. Not sure if it is some sort of parasite? 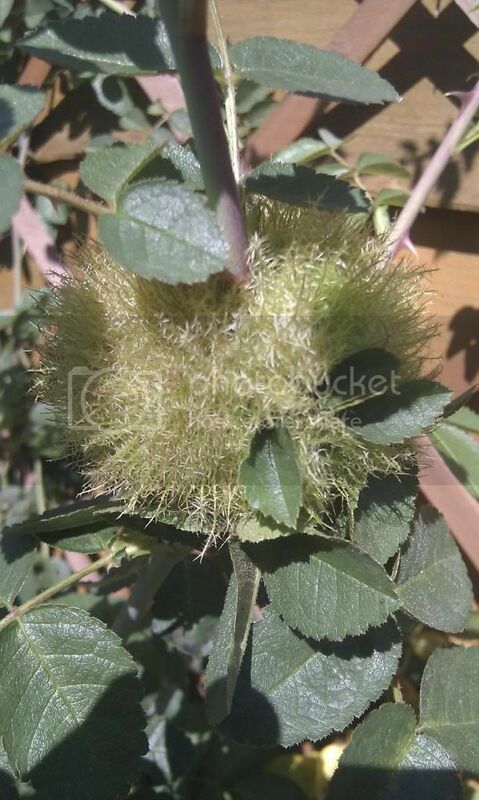 It's a Robin's Pincushion, caused by a variety of gall wasp - it's not doing any real damage to your rose bush. A fascinating exanple of nature at work in your garden. lot of it about this year. Although indicated it's not doing any real damage to the rose would it be advisable to remove at some point or just monitor the situation. The Wiki pages indicates various stages of the life cycle. If you wish you can prune it out when you normally prune the rose - it will do no harm if you leave it. Cheers Dovefromabove - will leave it for now. Will need to do some pruning so will look at it then!